At Achieve Gymnastics we have an advancement path to fit the specific goals and desires for your child. 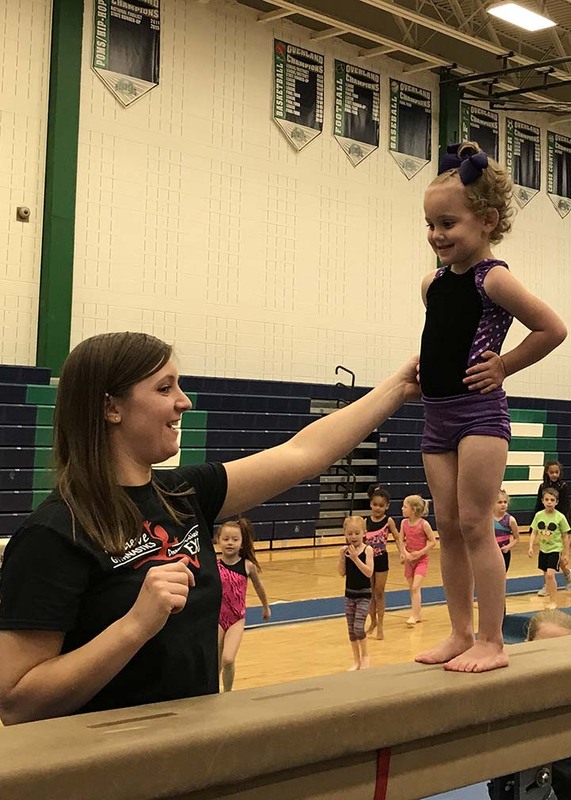 Whether you are looking for a strong child development program, a recreational starter, or if you feel you have a gymnastics star on your hands, there is a path through our classes that can meet your needs. Your child’s progress is monitored every step of the way by our caring staff as evidenced in their session progress reports. Once your child turns two, we have more class offerings (and even more the older they get) to help them grow and develop in our program. We understand that children progress at different rates and we want to provide classes for your children that meet their needs wherever they are. Our program has the flexibility for your child to move through our preschool program to our upper level team program at a speed that works for both your child and your family. We can get your child on a competitive track or a recreational track as early as the age of 4. There is no pressure at Achieve Gymnastics to become a “team gymnast.” We see value in all kids regardless of their path and want to help each and every one of them Achieve! Example of Girls Competitive path starting at age 9: 1 session of Girls gymnastics, 2 sessions of advanced, 1 session of advanced 2 times a week, try out & make pre-team, pre-team for 6 months, try out and make compulsory 3 team, compulsory 3 team for 1 season 2 nights a week, tryout and make compulsory 4 team, compulsory 4 team for 1 season 2 nights a week, tryout and make optional team, optional team for 5 seasons beginning with 2 nights a week the first year, 3 nights a week the next 2 years and 4 nights a week the last two years.